This luxurious Classic Chain collection bracelet is truly one of a kind. Imagine Balinese jewelry makers handcrafting each link in the woven chain, and then placing each grey diamond on the clasp in a pave style. 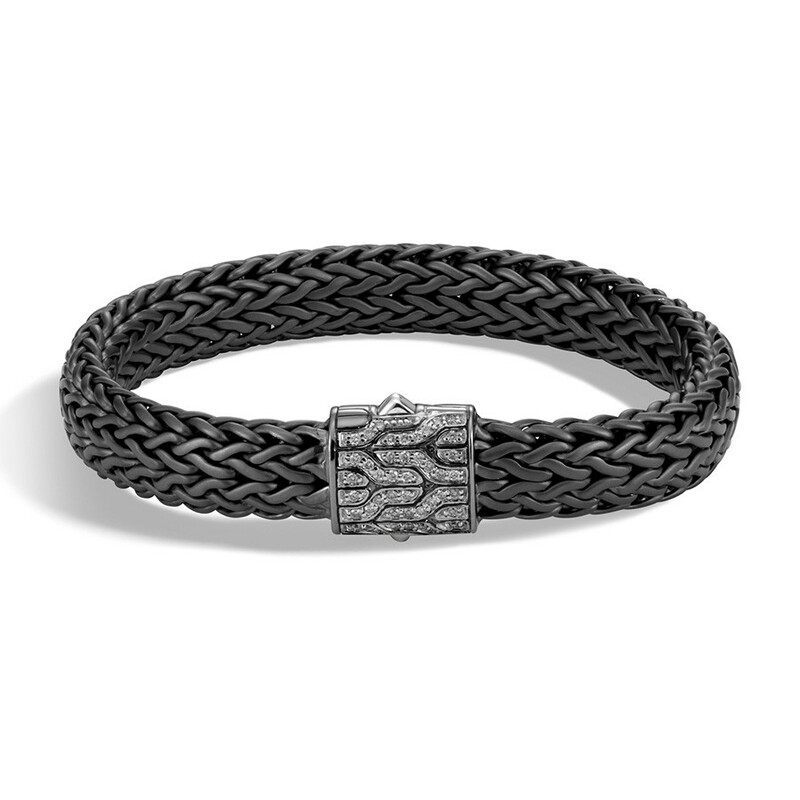 The diamonds and blackened silver create a masculine luster that only a John Hardy style can provide.